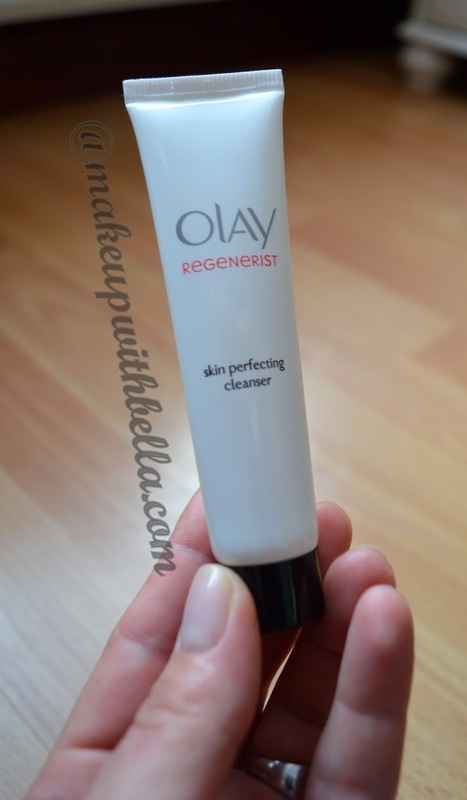 Makeup with Bella: Olay Regenerist 3 Point Super Cleansing System review! 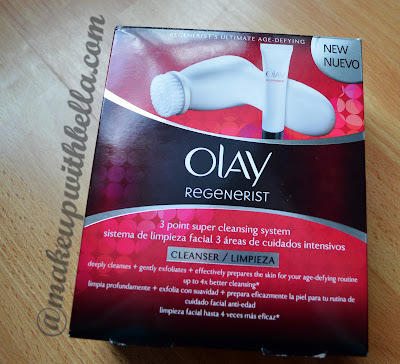 Olay Regenerist 3 Point Super Cleansing System review! The most of European beauty blogger have fallen in love with Clarisonic. 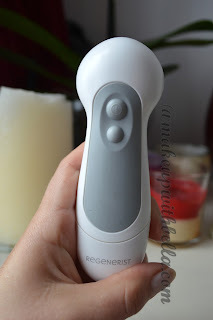 I could only dream about this little handheld device to cleanse my facial skin which deeply cleanses without more than only moving the arm around :-) . Why? The answer is simple: the high price discouraged me and somehow I gave myself. To my happiness, one day my lovely sister came to me with Olay Regenerist 3 Point Super Cleansing System and had it for £10.00 only in Boots. The primary price was £39.99 so you have to admit that it was a great opportunity to purchase a "brush for the face" :P!!! As you know now, I haven't used or even seen the higher- end cleansing systems yet, so this review will stand completely on its own. First let start we the box and Olay's own description. Olay promises to us: "Remove make up 4x more effectively than manual cleanser"; "Effectively prepares the skin for your anti ageing routine"; "Up to 30% increase in absorption of anti-ageing ingredients"; "Respectful of skin’s moisture barrier". These sound good, do they? If we have everything with knowledge what we can achieve with it let's get started! 1. Damp the skin and the brush head first with water. 2. Then massage the cleanser onto the face with hands. 3. Turn the brush on and move over the face for about 1 minute avoiding the eyes. I've been using the Olay Regenerist 3 Point Super Cleansing System for around 3/4 weeks now. The bristles are surprisingly soft (like a baby's hair brush :) ). As I've mentioned before there are two speed setting, so on the beginning I use the slower one, massage the face and then I change the speed on faster. I have the feeling that this combination works great for my skin and makes me sure that my skin is thoroughly cleaned. 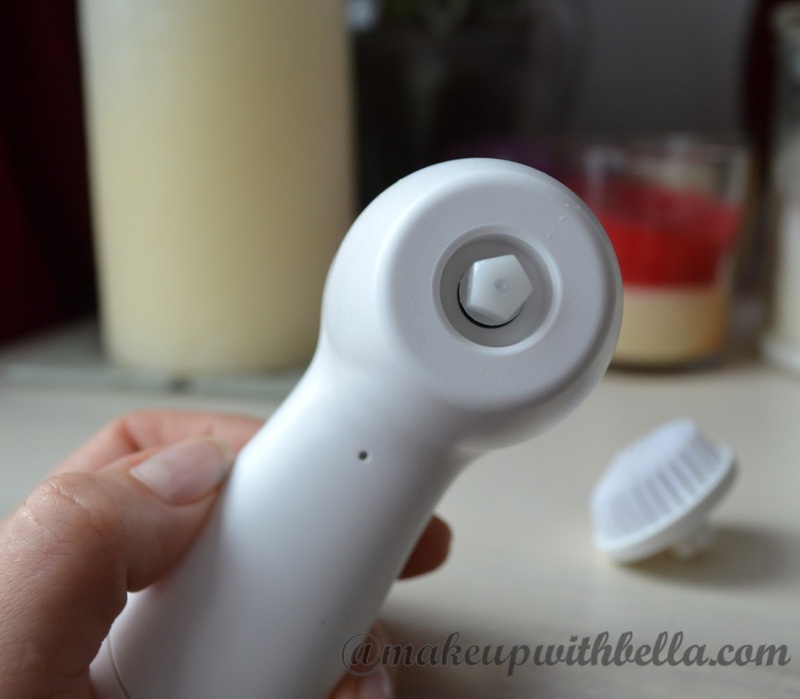 I've fallen in love with this cleanser device. 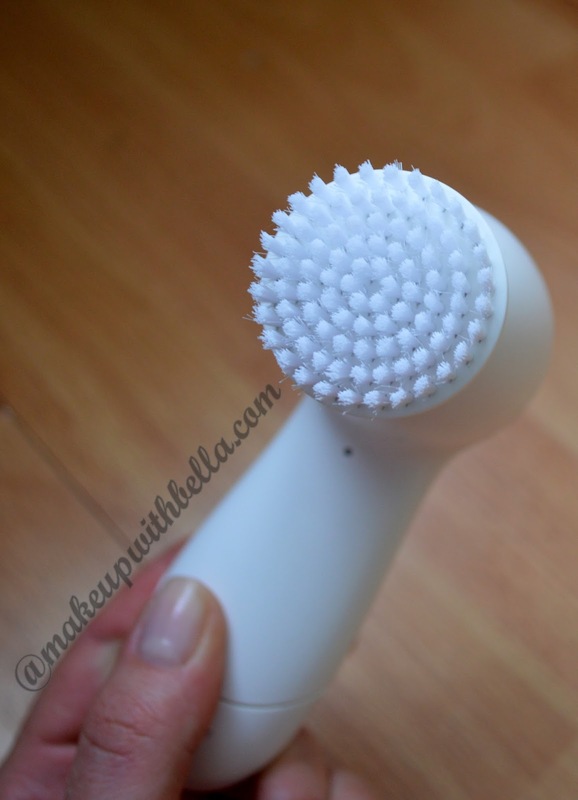 It removes the residue of makeup perfectly and gently exfoliate. My skin is left feeling smooth and clean. And because I have oily/ combinated skin with big pores so it has made a huge difference in my skin's appearance :-). I'm sure now that instead of using cleansing sponge (where the bacteria and germs can grow and multiply) for washing my face I will be faithful and loyal to my new beauty gadget. 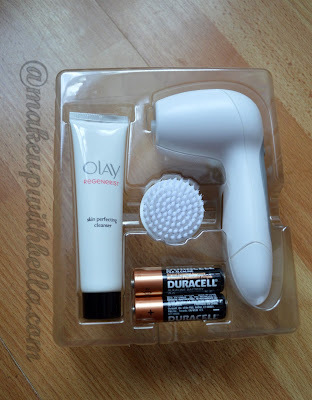 The Olay Regenerist 3 Point Super Cleansing System you can by in BOOTS and even the replacement brush heads for this system retails for about £7.00 for set of 2, check out here. preps the skin for other skin care products like serum, moisturizers, as well as makeup. Have you ever ladies used a cleansing device? If no, you just must to start! If yes, let me know your opinions in the comment section!